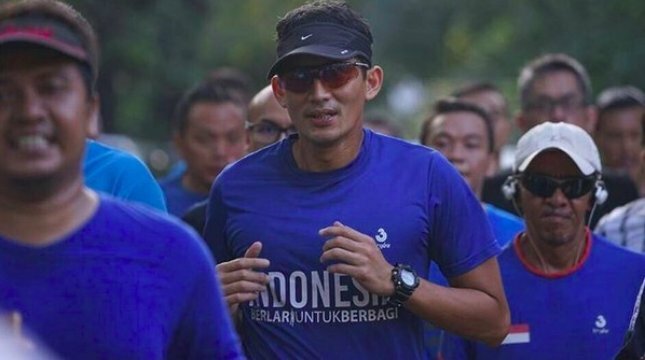 INDUSTRY.co.id - Jakarta - Deputy Governor of DKI Jakarta, Sandiaga Salahuddin Uno said at the Asian Games event which was opened on August 18, 2018 embracing Micro, Small and Medium Enterprises (UMKM) to enliven. Especially products that much in demand by the official athletes, supporters and the whole community who will participate in the brightening Asian Games. "This coincidence is the Asian Games philosophy for all, for all citizens of Jakarta and the people of Indonesia. We also want to embrace the lower, middle-class grassroots economy, especially MSMEs," said Sandiaga at City Hall of DKI Jakarta, Wednesday (31/1/2018 ) at the MSME Products Souvenir Supply Meeting at the 2018 Asian Games. He is grateful to be invited to meet the provision of souvenirs of UMKM products for the Asian Games in order to create a vibrant job. "We want them to produce goods that become prey from the participants of the tourists both Asian Games and surrounding areas in the framework of this Asian Games," said Sandiaga. With the hope of Asian Games event to be a bonus for the UMKM encourage their products to be more salable, he said. "We from the provincial government will coordinate with INASGOC and we will make sure all provincial assets become 'pop up marketing area' where they can set up such as SME centers selling products ranging from culinary as well as souvenir products," said Vice Governor. Some souvenirs include sandals which are the production of Salemba Penitentiary, key chains, dolls and designs of clothes. "I see there are soap deodorants, there are also purses all environmentally friendly bags also so a lot of the items there are 16 sectors in the creative economy will we push All joined from OK OCE, we also involve Kadin, Hipmi, Iwapi and involve all driving activator MSMEs, "said Sandiaga.